There really must be something about the Boholana beauty and the JCI movement. 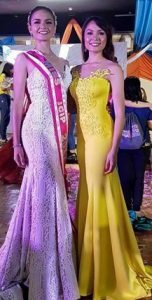 It was a moment of paisano and paisano pride when outgoing Miss JCI Philippines 2016 winner Glyssa Bingas Perez of Danao crowned her Miss Bohol successor Pauline Amelincx of Tubigon as this year’s Miss JCI Philippines winner. The national beauty and personality search held at the Casino Filipino-Tagaytay served as the glittering and glamorous highlight of the JCI Philippines national convention. But more than just a beauty search, the pageant served as an avenue and platform to highlight the modern Filipina’s commitment to achievement & empowerment. This is the third time in four consecutive years that a Miss Bohol titlist has been crowned as grand winner of said beauty tilt. Miss Bohol 2014 Queenie Melody Fullante of Dauis paved the way for Boholana beauties to shine and be recognized in the Miss JCI Philippines pageant. After winning her crown, Queenie Melody parlayed her crown into a meaningful and dedicated public service career and eventually get elected as President of the JCI Chocolate Hills Chapter which played a big role in staging the last four editions of the Miss Bohol Pageant. 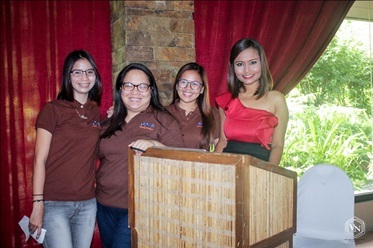 JCI Chocolate Hills President Janice Aurora Tirol expressed her elation and pride with Pauline’s triumph in the nationals and extended her congratulations also to the rest of the JCI family and the Boholanos for their support.